Posted on November 18, 2015 at 2:55 am. Carolyn Jones is a photographer and filmmaker who is passionate about telling stories that shed light on pressing global issues. She started out as a fashion photographer, participated as both a driver and photojournalist in the Paris Dakar rally across the Sahara, and ultimately found her home in documentary storytelling. 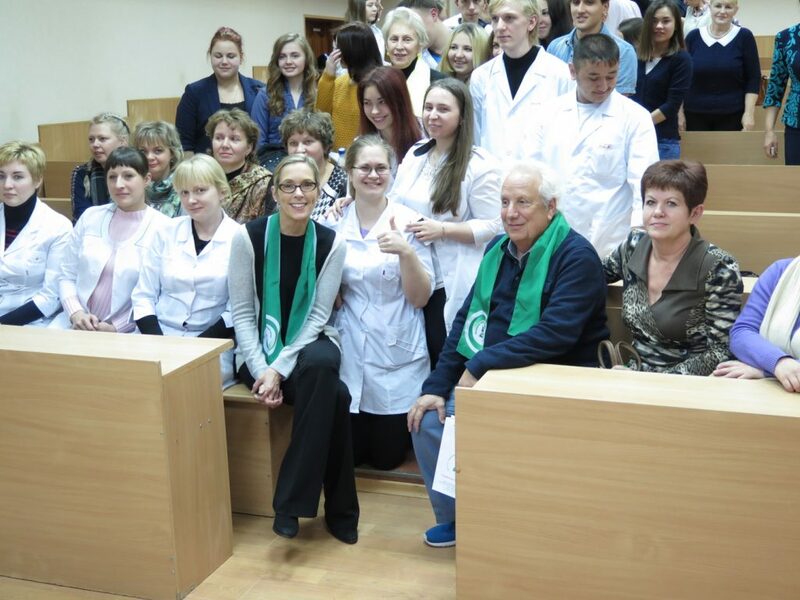 Carolyn’s current project, American Nurse, has toured Russia with AFS. Learn more about her current project American Nurse here. My parents took me to see The Sound of Music when I was seven years old. The film had just come out, and it was my first movie. When Julie Andrews came onto the screen standing on that mountaintop singing “The Hills are Alive” I was hooked. We must have been sitting fairly close to the screen because I vividly remember my entire field of vision being consumed by that image. It was positively magical. I love meeting new people and having a chance to dig deep into someone’s life. The camera works like truth serum – it’s hard for people to hide their real feelings and I love being there to see that truth. I tend to do projects that are about people I admire who have done things that I aspire to, so it’s wonderful to have the chance to find answers to all of the questions in my head, how they became who they are, why they do what they do and what motivates them. Without a doubt, my least favorite part of being a filmmaker is raising the funds to make a film. BUT I have to say that I value the process since it is usually during that process that I have to hone my skills and focus my idea until it’s crystalized enough to be able to articulate it well enough to raise the funds and move forward with the project. It’s a miserable, wonderful, frustrating and ultimately (hopefully) rewarding process! I’ve been a still photographer since I was 13. I started out as a fashion photographer and quickly learned that fashion was not for me. I wanted to talk to people and photograph them — so I began working for different publications – Interview Magazine, Esquire, publications that gave me a chance to take portraits. As time moved on, I became more and more interested in the interview aspect of the work and went on to publish 5 books that allowed me to photograph and interview my subjects. Somewhere in that 3rd or 4th book I realized that I wanted the whole experience to come alive, the events leading up to the image and what happened after. I wanted to share that and help capture the life story of the subject. My journey toward filmmaking felt like a very natural evolution. Oh this is a tough question – so revealing! I guess if I just had to pick one film to be my favorite, it would be A Man and A Woman. I love that film for so many reasons, the music, the way it was shot, the storyline, the spirit of it. I saw the film as a young woman, and it spoke to me so completely about love and life. My current project is always my favorite project. One thing always leads to another for me – so whatever I’m working on represents my current passion. Right now I’m working on a film about Dying in America and although we have just begun shooting, it has already been a profound experience for me. So, without a doubt – its my favorite!